Bat is a female Chimera Ant met by Gon after separating from Killua. 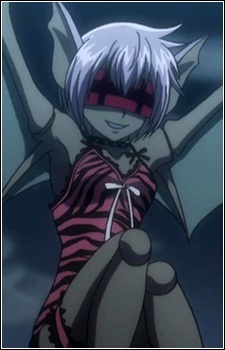 Bat is a bat-like Chimera Ant with the ears and the wings of a bat, but other than that she looks entirely human. She dresses in lingerie and wears a band over her eyes.